Entrepreneur India, an Industrial monthly magazine on industrial development, technologies & project opportunities aims at simplifying the process of choosing the suitable project for investment. It makes business decisions easier and trouble-free for business leaders, young entrepreneurs, women entrepreneurs, investors, NRI (non resident Indians), startups, and professionals looking to start their own venture by providing information about right projects for investment. ‘Entrepreneur India’ -the right tool for identifying sound investment projects is published by Niir Project Consultancy Services (NPCS) - a multidisciplinary project consultancy organization. NPCS provides reliable consultancy services worldwide and has been excelling its expertise in a wide range of services. The services includes: investment opportunities, technology transfers, pre-feasibility study, business plan, new project identification, project feasibility, identification of profitable industrial project opportunities, thorough analysis of the project, plan all resources & details on capital and operational costs, economic feasibility study of the project, profile analysis, preparation of project profiles / pre-investment studies, market surveys / studies, preparation of techno-economic feasibility reports, funding analysis, market potential study, identification and section of plant /process / equipment, general guidance, technical and commercial counseling for setting up new business. The detailed project reports cover all the aspects of business, from analysing the market, confirming availability of various necessities such as plant & machinery,raw materials to forecasting the financial requirements. Market Research Report supports market needs with over thousands market research reports, company profiles, data books, resources and regional market profits in its funds. We built an appropriate reputation for our commitment to fulfilling client’s requirements. At NPCS, we offers products that enable small & large business that generate business leads, and establish their credibility and use business information (finance, news,trade shows, tenders) for their business promotion. We add your directory in minimum span of time. 1895 1895 0% off in Rs. At NPCS, we offers products that enable small & large business that generate business leads, and establish their credibility and use business information (finance, news, trade shows, tenders) for their business promotion. We add your directory in minimum span of time. 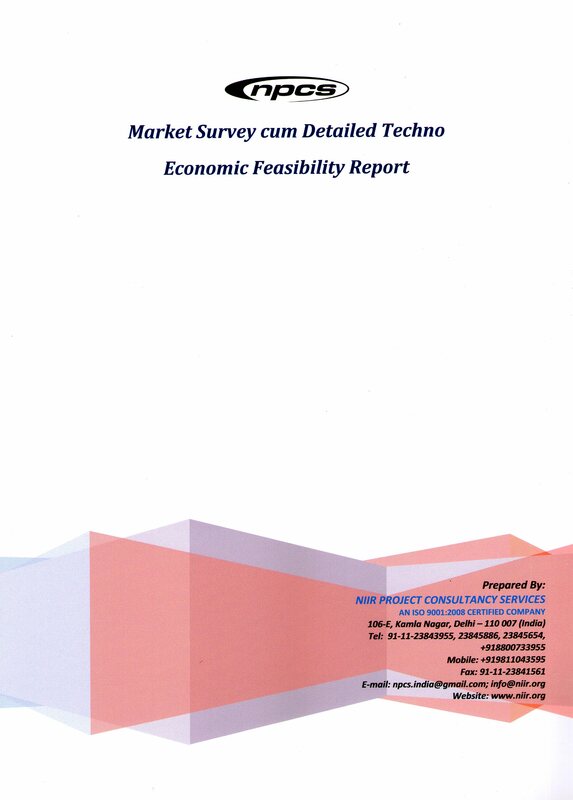 The detailed project reports cover all the aspects of business, from analysing the market, confirming availability of various necessities such as plant & machinery, raw materials to forecasting the financial requirements. 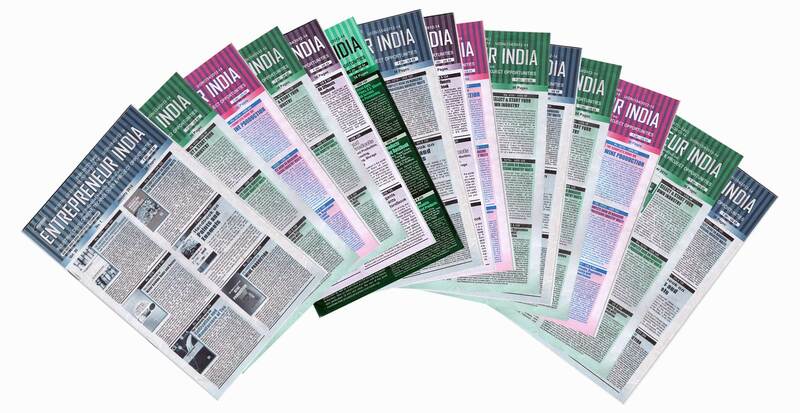 "Entrepreneur India", a monthly magazine published by NPCS, is aimed at simplifying the process of choosing the suitable project for investment. I appreciate for the remarkable services rendered by you. We are very impressed by the quality of work, creativity and dedication showed by your team. I appreciate your efforts in collecting the information and getting it to us so quickly. The Project Report is very useful to determine our upcoming project. We appreciate your innovative thinking. The information provided by you is both up-to-date and specific to our company's needs. Thank you very much for Esteemed Cooperation. Thanks for the prompt response and I have received the Books on time. Great work, NIIR Project Consultancy Services Exactly as per my requirements and beyond! Great communication skills and a fantastic job done within a tight deadline. We thankfully acknowledge receipt of the Package in the given time. We appreciate your innovative thinking and inspired by your commitment to excellence. We are impressed by the dedication of your team to meet our requirements. Thank you for your professionalism. The step by step process detailed in the book makes so simple to understand the production process. The Manufacturing Process given in the book helps us to choose the right process for the production of different products. We consistently find Market Research Reports have exactly the type of information we are looking for across a wide range of different sectors. The Market Research Report helps us to get a detail picture of the industry along with the market structure, classification and a comprehensive SWOT analysis. The Market Research Report provides analysis and in-depth financial comparison of major players/competitors which helps us to know the product competition in the market. Thanks for the detailed information given in the project report which helps us to implement the whole process smoothly and significantly improves the chances of accomplishment of the production target on time. The Suppliers of Plant & Machinery given in the Project report helps us to find the right Equipment Supplier for the project. Thanks for the detailed market survey. It helps us to know the market demand of the product. The Project report helps you understand the viability of the project by disclosing details like raw materials required, manufacturing process, project costs and snapshot of other project financials. The Book helps us to identify a profitable project for investing or diversifying into by throwing light to crucial areas like demand of the product, manufacturing process of the product and machinery details. The Export & Import Statistics Data given in the project report proves useful for us to get information about the consumption of the product in Indian as well as International Market. The Buyer’s list in the project report makes easier to sell the product of our company without wasting our time in searching the right buyer in the market. Thank you for your great work—on this project and in all that you do for our Company. Your contributions make a real difference!